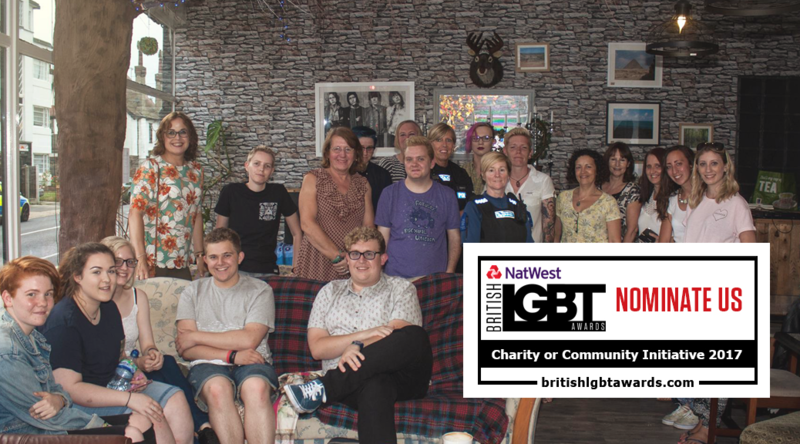 We are so excited that people in our community really value our cause and have nominated us for the NatWest British LGBT Awards 2017. To date we have over 200 members, working relationships with schools, businesses and organisations. But more importantly Transpire has been there to support people when they needed it most. It means a lot to have been nominated and to have our efforts recognised and appreciated. We now need as many votes as we can to get shortlisted for the top 10! We would like to take this opportunity to thank everyone who has supported us during 2016.